A brand new Kickstarter project has appeared giving Blizzard fans the opportunity to offer financial aid to an MMORPG game based on the hugely popular Starcraft franchise. Blizzard have always boasted the qualities of the modding tools available for Starcraft II players and hundreds of dedicated community members have demonstrated what the engine is capable of, but none more so than Ryan Winzen. He is the creative mind behind Starcraft Universe and over the last two years he has spent much of his time tuning and improving the game. 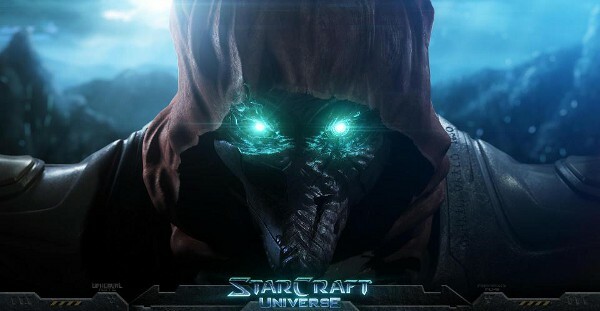 Ryan has since gone on to create his own independent developer studio, Upheaval Arts, following the recruitment of several talented individuals to help make Starcraft Universe a reality. Blizzard have given him full permissions to launch the Kickstarter project, showing that the company is truly willing to support modders past the stage of just providing free content. The game promises detailed character progression, intense third-person combat and a deeply enriched storyline, all supported by an authentic Starcraft experience. For more information on the game, or to pledge your support, visit the official Kickstarter page.